Red Faction: Guerrilla is a mediocre game with above-average destructible environment physics and a surprisingly positive portrayal of the more morally-grey aspects of a violent revolution. I have a complicated relationship with Volition’s 2009 third-person shooter, Red Faction: Guerrilla. It’s a definitively mediocre game about a people’s revolution on a colonized Mars that’s disappointing in its execution, in a setting with so much potential that wasn’t explored. The destructible environment system made possible with Geomod 2.0 is quite spectacular, and despite its limited scope compared to the first iteration of the engine, it goes a long way to drag its score slightly above a 5 out of 10. Something that really interested me when recently replaying the game is Red Faction‘s portrayal of the more morally-grey aspects of violent revolutions. There are countless horrific acts committed in periods of revolt, and whether they can be justified as necessary is subjective and dependent on context. But it’s not until recent years that we’ve really seen a mainstream acknowledgement of these acts that recognizes their necessity. Go back a decade, and even films like the 2005 adaptation of V for Vendetta trimmed out a lot of the ethical ambiguity present in the original graphic novel. These portrayals were glorified, and often if they weren’t, then they were condemned. This makes Red Faction: Guerrilla’s depictions of these darker revolutionary elements quite significant: the game was released eight years ago now, when video games as a medium didn’t explore this concept to any great length. 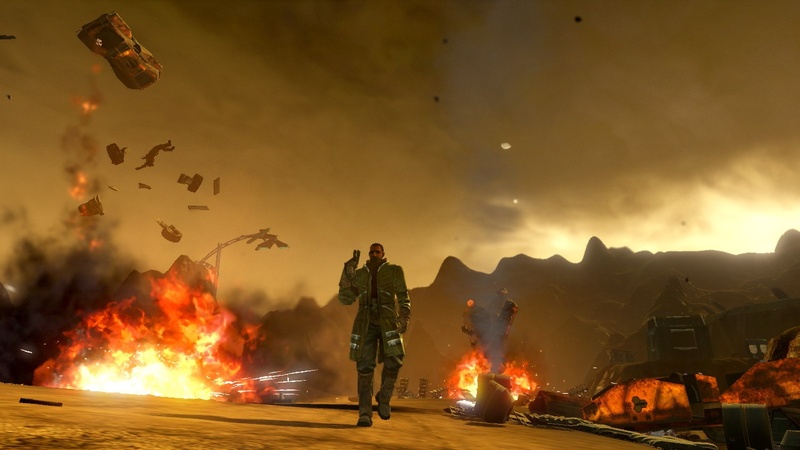 Red Faction by no means contains missions that are outright horrific, but a lot of what you carry out in the shoes of Alec Mason would often be considered acts of terrorism if translated into the real world. 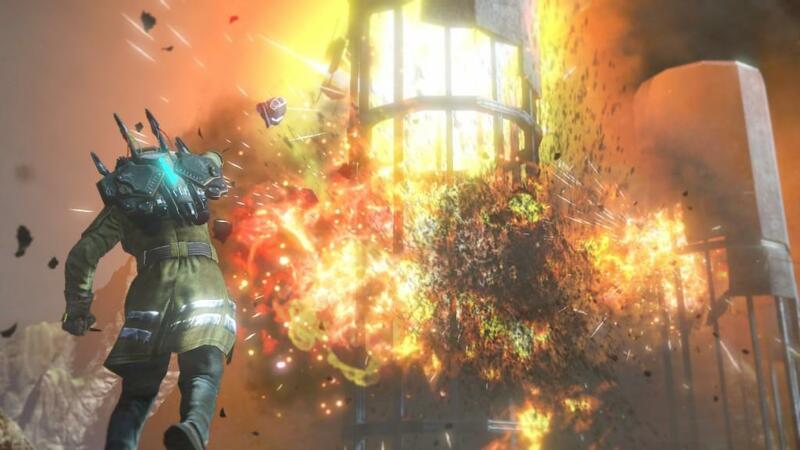 Demolishing bridges, bombing town halls, aiding in the torture of enemy generals; these are all duties you must perform to further the cause of the Red Faction, and are all commonly-accepted acts of terror by major world powers, an aspect also reflected in anti-Red Faction news broadcasts heard throughout the game. But Red Faction: Guerrilla depicts these acts as ultimately necessary in the quest for liberation. And quite rightly: countless times in world history, we’ve seen violent and disruptive actions carried out by revolutionary groups as a means of furthering their goals, and regardless of the public perceptions of these groups at the times of their operation, it’s generally accepted in an historical context that, often, they were ultimately successful in their intent: militant groups like Umkhonto we Sizwe, a militant anti-apartheid movement led by Nelson Mandela, who bombed South African infrastructure as a means of targeting the government, and the Cuban Revolutionaries, who engaged in guerrilla warfare to bring down the brutal regime of dictator Fulgenico Batista. In an age where many non-peaceful, disruptive movements are met with cries and insistences that violence should never be an option and that nothing will be achieved by employing such techniques, it’s important for people to be reminded that sometimes, even as a last resort, acts of violence have brought about massive social change. And a great way to remind us all of that is through such portrayals in the media we consume. Red Faction: Guerrilla presenting this perspective at the time that it did was a surprisingly bold move for such an otherwise average game. And it’s part of why I have such a fond appreciation for it: that and its soviet propaganda-inspired UI design and the fact that I can destroy an entire tower block with nothing but a bloody hammer. Violence can be devastating, and I’m not voicing apologism for all brutally violent organisations, nor am I condoning or encouraging crimes like murder. I do feel, however, that it’s important to recognise that in certain contexts, and in specific situations, many acts of violence have formed the basis of a lot of society’s progressions, and will go on to do so, and it’s important to know that sometimes, it might be the only effective option.